Fitzroy Island is 45 minutes from the coast of Cairns in Far North Queensland and is surrounding by a reef system that forms part of the Great Barrier Reef. Nudey Beach, Fitzroy Island's Iconic beach, was voted #1 best beach in Australia. The idyllic beachers lead into safe, sheltered waters which are perfect for swimming, snorkelling and other water sports. The first Fitzroy Island Resort was erected in 1977. In the forty years since, four different Resorts have been built – each replacing the last. The present and award-winning Fitzroy Island Resort opened in 2010 and although experiencing significant growth, since it’s inception, the growth of the resort had become stagnant due to a variety of reasons. Firstly, the introduction of Online Travel Agencies (OTAs) were directing a higher percentage of travellers to book through their third party systems and therefore taking a slice of the revenue and profits of the Resort. Secondly, an increasing number of competitors were levering off brand and island terms, both paid and organically, while also providing more comprehensive travel information and ease of booking which was once again causing a loss in direct bookings, revenue and affiliate costs. Lastly the performance of the website, in Google and conversion rates, had become stagnant due to an outdated web design and poor mobile user experience. The website lacked the critical information that travellers were seeking, in regards to their stay, and were quickly leave the site to browse OTAs or competitors further amplifying the issues above. 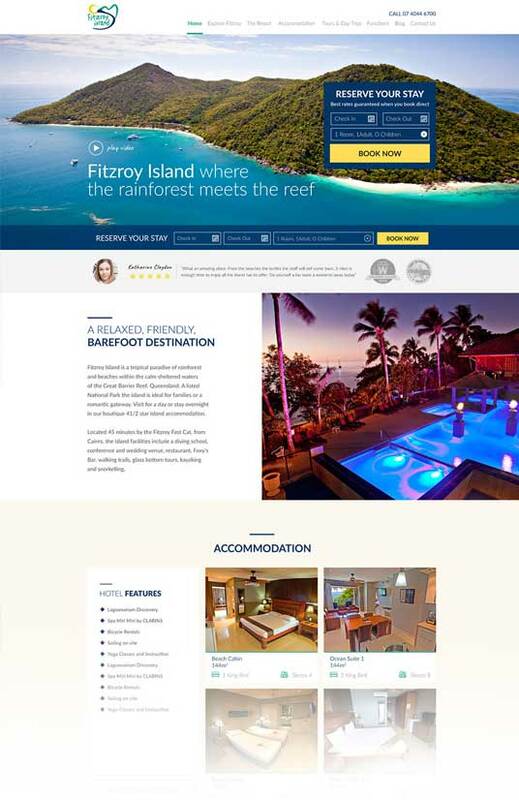 It was at this time Fitzroy Island engaged PixelRush, through Hemisphere Hospitality, to create a fully custom web design and for the purpose of increasing the percentage of direct bookings and online revenue. Complete custom website developed which involved improving the website and landing page copy while encouraging best rates when booking direct. Focused our SEO efforts on brand saturation and improving rankings where competitors were outranking on relevant terms. 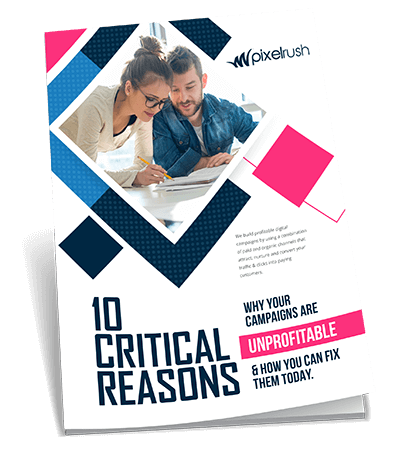 Implementing proven, whitehat SEO techniques including original, high quality content marketing to attract customers at different stages of the buying life-cycle. We empowered the business with detailed performance tracking & reporting accurately tracking all conversions and bookings throughout the website and their source. Built a structured and highly profitable Adwords campaign by targeting clicks with buying intent and protecting brand name terms. We used link building and outreach, combined with content, to improve resort rankings on lagging search terms. Improved monthly website revenue by 55% when compared to year prior.